Not since my childhood have I so eagerly awaited the Easter holidays, however, this year it is music and not the breaking of my Lenten fasting that has me excited. Marlene Enright’s debut album ‘Placemats And Second Cuts’ is to date the best album I’ve heard this year, while Ailbhe Reddy’s ‘Relent’ is one of the best, new songs I’ve heard in recent months. Both of these acts playing in an intimate setting such as the wonderful Coughlan’s Bar on Cork’s, Douglas Street only adds to this anticipation. Ailbhe Reddy took to the stage to begin her seven song set armed with only an electric guitar. In front of the young Dubliner, standing room was at a premium as in addition to the 36 or so sold-out seats, there must have also been the best part of 20 standing in this gorgeous little room. Her opening trio of ‘Distrust’, ‘Relent’ and ‘Never Loved’ seemed a little tentative as Reddy found her feet, but by the time she finished the excellent ‘Selfish’ and had interacted with the crowd her confidence was rising and this was reflected in the latter part of the performance. In particular ‘Enough’ was exceptional, as was the set closer ‘Coffee’. Reddy’s plays 2 headline shows in Cork in the upcoming weeks and if tonight is anything to go by I would highly recommend them. 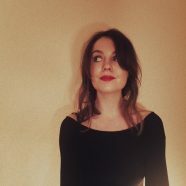 Despite Placemats And Second Cuts’ being Marlene Enright debut solo offering, The West Cork born, singer/songwriter is no stranger to the music business. Working as the booking agent for the White Horse (One of Cork’s best live music venues) provides much inspiration, while Enright also has 2 previous album releases as part of roots/rock outfit The Hard Ground, a band who many felt never quite got the recognition/airplay they deserved. Working solo has allowed Enright more versatility and a chance to move towards a more radio friendly, pop sound. It would appear since its release, a mere 3 weeks ago ‘Placemats And Second Cuts’ reception has eclipsed any previous output from the West Cork 4 piece. Excellent examples of this new style in tonight’s performance were ‘Alchemy’, ‘123’ and the fantastically, funky rendition of ‘Underbelly’, while ‘Bay Tree’, ’We Were In Trouble’ and a gorgeous, acapella version of ‘When The Water Is Hot’ were indicative of past endeavours. Enright even dipped into the Hard Ground’s back catalogue for the brilliant ‘Pucker’, a song which was not only their finest hour, but one of the finest songs to come out of Cork in recent years. After her band took their bow and a deserved standing ovation, Enright emerged alone to close out an excellent performance with a song called ‘Holy Moly’.